Higgins Coatings is Australia's premier commercial painting contractor with 70 years of experience in providing a complete painting maintenance solution to a broad range of industries. We offer affordable painting solutions, tailored to your requirements, no matter what the size or nature of the project. Our team has the expertise and resources to handle every aspect of the job, from design through to follow-up, leaving you to focus on the real issues that matter to your facility. With a commitment to WHS, quality and the environment, Higgins Coatings has an industry-leading ISO Tri-Certification Accreditation. We stand behind our company motto 'Whatever it takes’, ensuring that every finished product is one of supreme quality. When Higgins Coatings was established our founding principle was that "the quality of the service was as important as the quality of the finish". Today, more than ever before, we focus on that same fundamental approach. Pioneering a 24-hour painting service in the 1950s that attracted many long-term high profile clients, our history is now best demonstrated by an enviable record of successful projects. 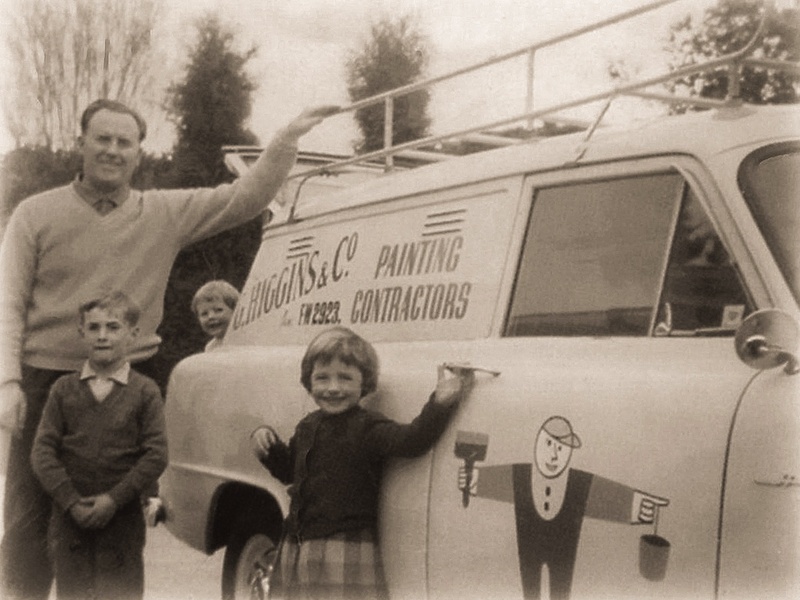 Continually growing our offices throughout Australia, Higgins Coatings maintains the key family values that shaped founder Gerry Higgins' business while always looking to the future with innovative and practical solutions to fulfil our customers' needs. We are a team, sharing our unique talents to help those with whom we work, live and serve. The diverse thinking and decision making of our people strengthens our team. We respect and value people with different opinions, experiences and backgrounds. We strive to understand the big picture, and then do our part. We know that by working together, we can produce better results than any of us can achieve alone. Individually and collectively we make meaningful commitments—first to each other, and then to those with whom we work. We align our actions with our words and deliver what we promise. We build and strengthen our reputation through trust. We understand and focus on the needs of our customers. We are respectful and behave in an open and honest manner. We are responsible members of our communities who are dedicated to safety and care for our environment. The quality of our service reflects the power and heritage of Higgins—the pride we take in what we do and what we make possible. We are passionate about people, process and service excellence. We are determined to serve our customers through innovation, continuous improvement, an intense focus on customer needs and a dedication to meet those needs with a sense of urgency. For us, Excellence is not only a value; it is a discipline and a means for making the world a better place.